Once again, for the umpteenth week in a row, Coinbase, the crypto industry’s golden child and star player, hit headlines all across the web, as reports surfaced that the prominent, world-renowned startup is set to be valued at a staggering $8 billion in an upcoming funding round. When users first step foot in the cryptosphere, Coinbase is usually their best bet, as the firm’s easy-to-use platform makes cryptocurrencies accessible to anyone and everyone. Coinbase’s influence has been clearly reflected by the San Francisco-based startup’s valuation, which swelled to a hefty $1.5 billion in 2017. But, speaking with Recode, a Vox-affiliated technology news outlet, insiders claimed that the firm is in the midst of inking a deal that will value the startup at $8 billion, a five-fold increase in comparison to Coinbase’s publicly-reported valuation in 2017. According to those familiar with the matter, Tiger Global, a prominent New York-based investment fund, and Coinbase are participating in closed-door discussions that could see the fund and its shareholders obtain a stake in the privately-operated crypto platform. More specifically, the inside sources added that Tiger Global’s potential investment could see the fund buy out a smattering of current shareholders, which may indicate that Tiger could potentially be paying quite the premium for shares. Although Coinbase’s publicly-available cryptocurrency exchanges have undoubtedly seen a sharp drop-off in interest and active volume, the startup is still set to post profits, even amid expensive, likely overly-ambitious expansion plans that saw the firm bolster its product roster. It is important to note that if the rumors are true, and if the deal goes through, Coinbase will become one of the most valuable startups on the entire planet, which validates the fact that crypto has the potential to become a strong player in global industries. In fact, the startup may hold more financial influence than Robinhood, another notable US-based fintech startup, which was valued at $5.6 billion in a mid-2018 financing round. Mike Novogratz, the CEO of Galaxy Digital and Wall Street’s leading crypto bull, corroborated the aforementioned sentiment, telling CNBC that Coinbase’s newfound valuation indicates that crypto is much more than the “tulip-mania” of this century. Quite spectacular that Coinbase, the world's largest fiat to crypto exchange, quadrupled its valuation from $1.6 billion to $8 billion within 1 year in a bear market. It shows investors and venture capital firms really believe in the long-term growth of the crypto market. BitcoinBirch, as the Bitcoin Bravado co-founder is known on Twitter, said much of the same, alluding to the fact that the arrival of Coinbase’s aforementioned investor confirms that crypto has a future, just like CFTC Chair Chris Giancarlo said in a recent interview, as reported by NewsBTC. This would make them one of the most valuable (and profitable) private companies on earth. 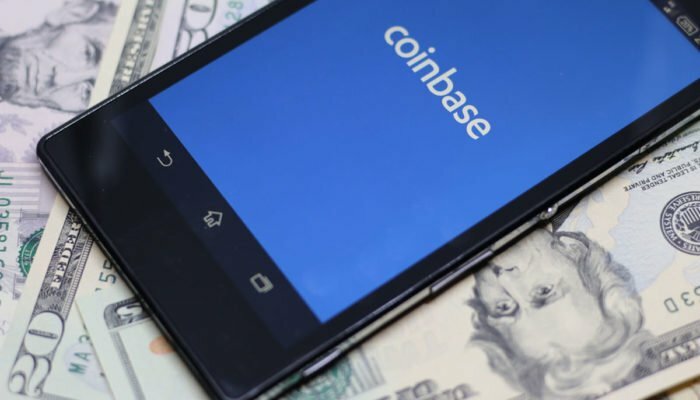 Ran NeuNer of CNBC Africa’s Crypto Trader, also threw in his two cents, pointing out that Coinbase could now be as valuable as all the Bitcoin Cash in the crypto ecosystem. Moreover, the cryptocurrency personality posed the question — “If they are valued at $8bn, what’s a fair valuation for Binance?” What the investor seems to be alluding to is the unspoken contest between Coinbase and Binance, as many with ears to the ground in crypto believe that these two startups are the only contenders for the unofficial title of the leading crypto startup. If the firms are truly neck and neck when it comes to profits, as many assume, it would be fair to state that Binance has a valuation in the ballpark of the high single-digits, but one can’t know for sure. On the other side of the coin, however, there were some who remained cautiously optimistic, with venture veteran Villi Iltchev explaining that it is nonsensical for Coinbase to be seeking such funding, as it is already “spectacularly profitable.” As such, he explained that this may not be as bullish as one would first assume, as this is more of a transfer of ownership from the firm’s seed/angel investors to Tiger Capital. But regardless of the exact details, it would be unfair to cast aside this development and mark it as irrelevant.